Here's an update on what my silk ribbon embroidery looks like. There are just two more flowers to go. The next one is a rose bush. Little Teemu's California grandparents are here visiting so he's getting lots of hugs and attention. He loves smiling and talking and dislikes a wet diaper. 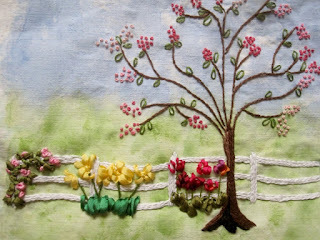 I love that tree embroidery; nicely done. What pretty embroidery. It looks amazing. And the suit will be great. Stunning embroidery, and for shirts some, well many years ago, some were two piece, but a lot easier if one piece. the two pieced ones were shaped more and for adults I thought. That little suit will be great. 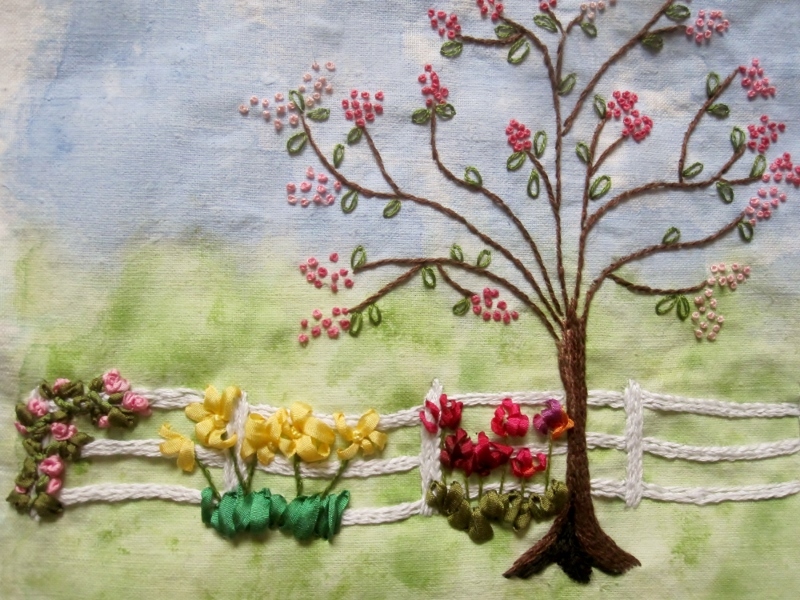 The embroidery project looks lovely. 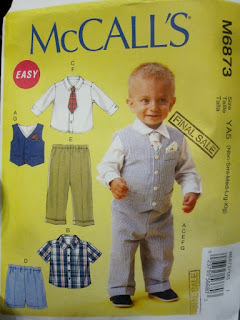 I have made my share of little boys' shirts and the one piece collar is a lot easier and also softer for the young neck. You haveso much sewing experience that there will be no problem with the more demanding pattern. Still, they should not call it easy! Of course skinny pants are in our Grandson has Chinno's he wears to show of his skinny legs! I sometimes think pattern makers are from a different planet, why they have to change something like how to make a collar is beyond me. No wonder some people get turned of sewing. Teemu is going to be so handsome in his outfit - hope you're able to share pictures when the time comes. Better you doing that sewing than me though!